we call all economic student (last semester) who wants to experience. 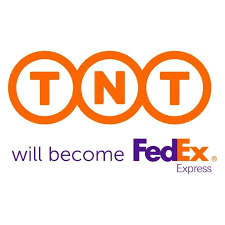 Description TNT Express is an international <a href=”https://en.wikipedia.org/wiki/Courier”>courier</a> delivery services company, now a subsidiary of <a href=”https://en.wikipedia.org/wiki/FedEx”>FedEx</a>, with its headquarters in <a href=”https://en.wikipedia.org/wiki/Hoofddorp”>Hoofddorp</a>, <a href=”https://en.wikipedia.org/wiki/Netherlands”>Netherlands</a>. The firm has fully owned operations in 61 countries, and delivers documents, parcels and pieces of freight to over two hundred countries. The company recorded sales of €6.91 billion in 2015. Its major competitors include <a href=”https://en.wikipedia.org/wiki/United_Parcel_Service”>United Parcel Service</a> (UPS) and <a href=”https://en.wikipedia.org/wiki/DHL_Express”>DHL Express</a>. TNT’s competitor <a href=”https://en.wikipedia.org/wiki/FedEx”>FedEx</a> reached an agreement to buy the company in April 2015, which was completed on 25 May 2016.